OTTAWA, ON—Prime Minister Justin Trudeau introduced legislation yesterday that will profoundly change the logistics of the next federal election: voting will take place in the form of a Twitter poll, a bold move political analysts are calling a "revolutionary approach to democracy." In a press conference livestreamed on Periscope, Trudeau explained that the Liberal government is staying true to its promise of electoral reform while also attempting to appeal to two particularly elusive voters: youth and the deeply disgruntled. "We want to make sure that Canadians have a stronger voice in Ottawa – a voice that hashtag-reflects and hashtag-represents them," he said awkwardly. Moments later, he tweeted "#reflect and #represent." Derik Blais, Liberal Party spokesperson stated, "First Past the Post is antiquated. It dates back to the 12th century and has resulted in a whopping 14 false majorities. When it comes to engaging Canadians, we need to step it up." He then posed for several Instagram selfies with the Liberal Party's newest mascot: a corgi named Whigz. Blais says the party considered many options to modernize the voting process: ranked ballots, proportional representation, mandatory voting, adding a cool background to one's Facebook profile photo, adorable Vines of kittens, and one-on-one Google Hangouts with the Prime Minister before settling on the Twitter poll as their final recommendation to parliament. 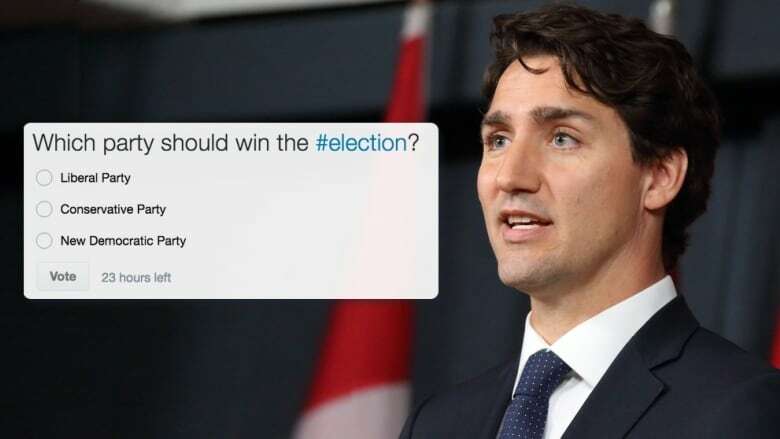 Former Liberal Party leader Stéphane Dion took to Twitter to elaborate on the decision: "#We #Feel #That #Social #Media #Has #The #Power #To #Really #Connect #With #The #Electorate." His response continued for several hours. When asked what this meant in terms of legitimizing social media as an official and legislated mechanism to measure democracy, employees of Twitter Canada responded simply by dancing in an enormous pile of Sir Robert Bordens shouting, "Eat it, Zuckerberg!"